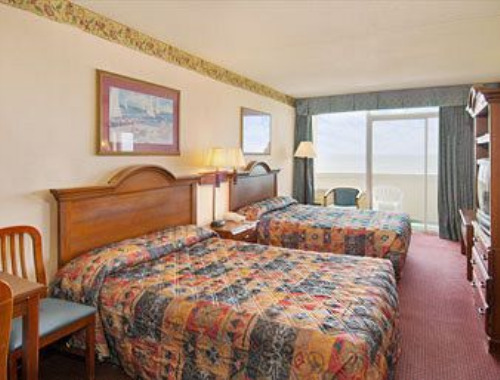 Situated just off Route 17, the Days Inn Myrtle Beach Beachfront hotel offers simple accommodations just 0.6 miles from the Family Kingdom Amusement Park and 5.2 miles from Myrtle Beach State Park. 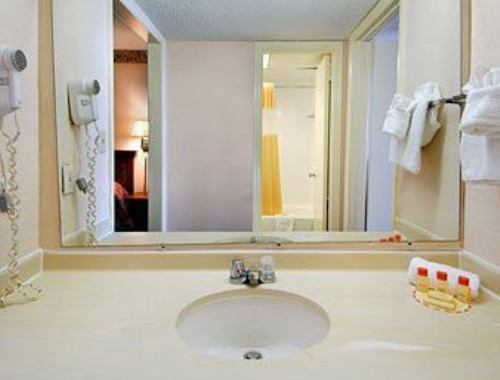 Guest rooms include en suite bathrooms with showers and tubs, free Wi-Fi, TVs, kitchenettes and more. 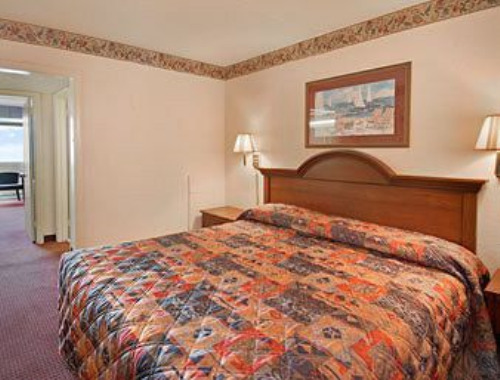 Amenities include complimentary continental breakfast, a heated outdoor pool and a children’s pool. 2 miles from Myrtle Beach International Airport. 3.7 miles from Broadway at the Beach. 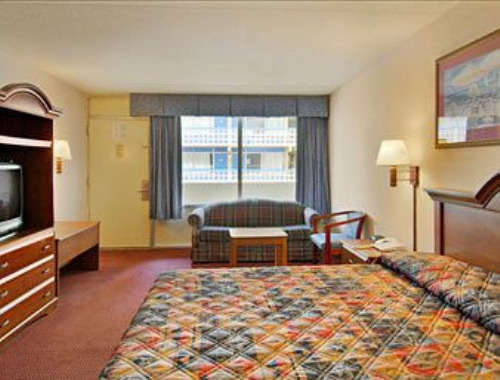 With a stay at Days Inn Beach Front in Myrtle Beach, you'll be on the beach and minutes from Grand Strand Plaza Shopping Center, and close to Midway Park. 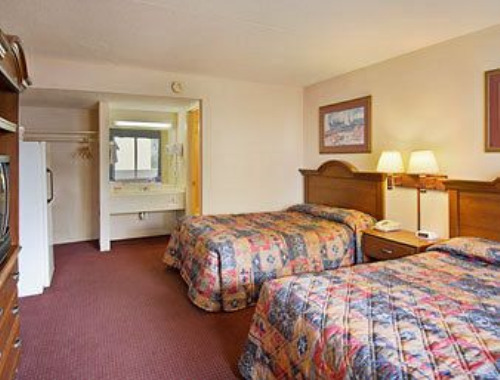 This beach motel is within close proximity of Mount Atlanticus Miniature Golf and Art Museum of Myrtle Beach. 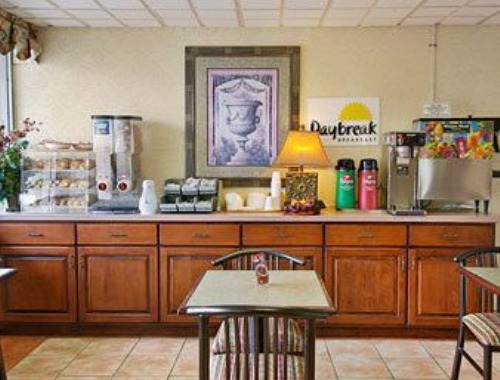 Enjoy a satisfying meal at a restaurant serving guests of Days Inn Beach Front. 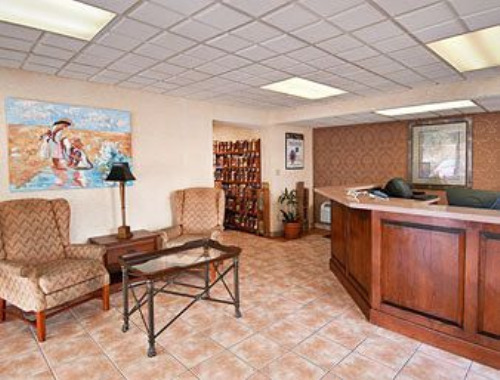 Featured amenities include a 24-hour front desk and air conditioning in public areas. Free parking is available onsite. Government-issued photo identification and a cash deposit are required at check-in for incidental charges. 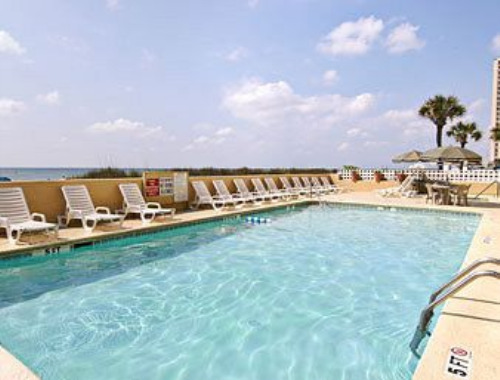 Deposit of $50 per night due upon check-in, Fees and deposits may not include tax and are subject to change.